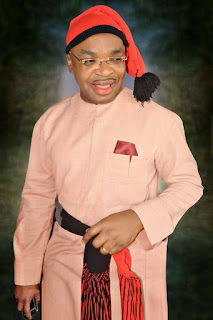 Home Politics One Year After Demolition, Udom Emmanuel Turns Eket Market To Death Trap, "Promised Remodelling A Scam", "The Governor Doesn’t Care About Us" Traders, Motorists, Eket People Cry Out By Enoch Atang. One Year After Demolition, Udom Emmanuel Turns Eket Market To Death Trap, "Promised Remodelling A Scam", "The Governor Doesn’t Care About Us" Traders, Motorists, Eket People Cry Out By Enoch Atang. Almost a year after its demolition by the government of Udom Emmanuel the popular Urua Nka market in Eket local governmenthas become a death trap for traders, customers and motorists. This is because, despite his promise to rebuild the market, the main source of income and economic activities for the people, nothing has been done. The Chinese construction company which the governor claimed to have contracted to reconstruct Eket market is yet to mobilise to site. It could be recalled that the State Government had on April 12, 2018, ordered the demolition of the market, with the promise to remodel it into an international market. Now indigenes of Eket and traders, most of whom are women, are crying for help, claiming that the government sold them a scam. One of the protesting traders, who identified himself as Mr. Thomas Etuk, told our reporter that the action of the State Government "has not only affected the traders, but also members of the community" who depend on the market to take care of their families. He lamented that they gave resorted to displaying their goods by the highway, exposing them to danger and their goods to peril. "We have witnessed many accidents in this market. We have cried to the governor to help us and keep his promise. Nothing. We are tired of begging. Maybe when somebody dies here Udom Emmanuel will come and keep his promise," he said, speaking in the local dialect. Only recently, the people of the area, mostly traders, staged a protest, asking the government to come to their rescue to save lives. They stated that there should have been an alternative market following the demolition of Urua Nka market. Mrs. Stella Asuquo, another trader, said that they were deceived by the Akwa Ibom State commissioner for works, Ephraim Inyang, who promised them that the market remodelling process would be completed "within a shortest period of time." She said that the commissioner also promised to provide an alternative location for the traders to display their goods, saying that none of the promises has been fulfilled. She wondered why the state Government would play pranks with the innocent traders, describing such act as devilish. Ette Akanimo, also an affected trader, told our reporter that "there is no market day where between two to five persons will not be taken to the emergency unit of Emmanuel General Hospital, Eket." He claimed that "Governor Udom does not care about us. If the government had known that they were not ready to construct a new market, they would have allowed us to continue with the old one. Now we are like beggars." The president of the traders and the village head of the community could not reached as at the time of going to the press, but reliable sources in the community told our reporter that they were "very unhappy with the manner of the state government is playing with the intelligence of the people."